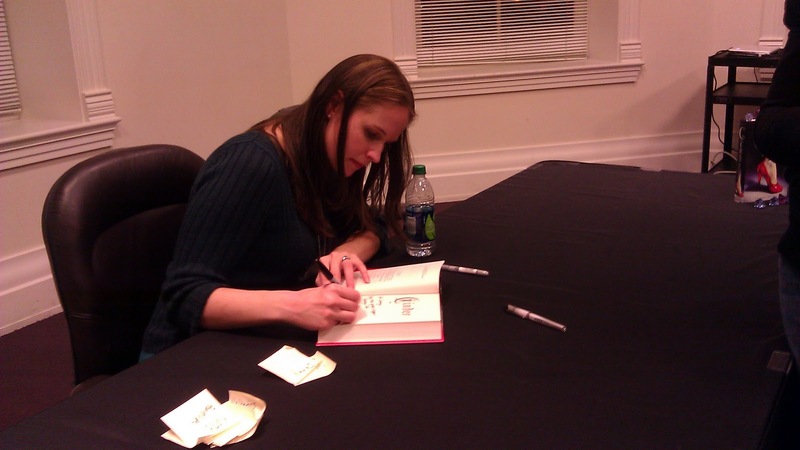 This past week I was lucky enough to attend two author events at the library, one on Thursday and one on Saturday! Overload yet? Nah! I can take more! Which is a good thing, because there IS more to come! 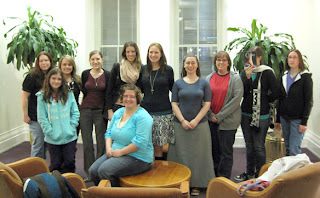 On Thursday we went to see Marissa Meyer as she came through on her Cinder tour. 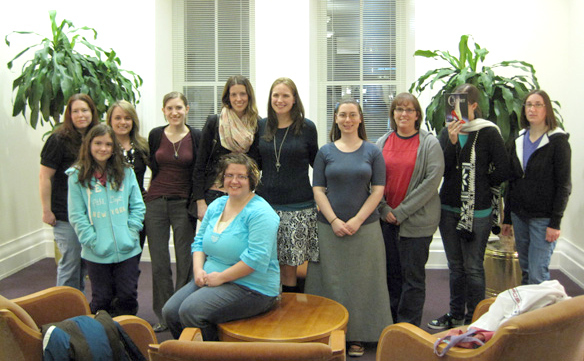 They had a small gathering beforehand just for us bloggers. Only about ten of us showed up though, which was fine since that kept it very small and intimate. 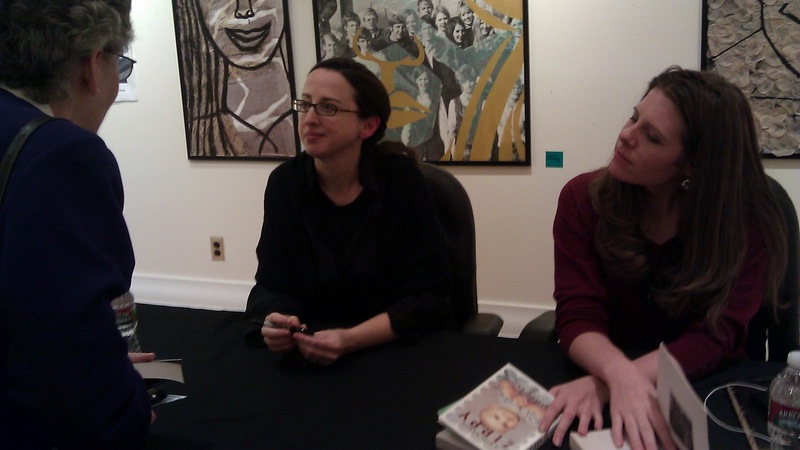 She talked about Cinder and how it came to be and then we just asked questions and chatted. Very fun. Do you think this little practice will become routine? I don't know.. I guess we'll see, but that would be fun! We then went to the main event and learned a little more about Cinder and it's series and that Marissa Meyer's "how I cam to be published" story is really quite the fairy tale. I'm guessing many authors would rather not hear that particular story! 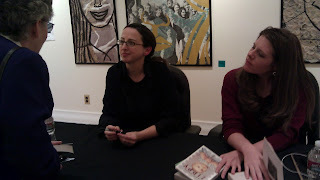 Then we got our books signed. I've since read the first few pages and hope to keep going shortly. On Saturday the library had what they call the Family Literacy Symposium with the keynote speaker being Haven Kimmel, who wrote A Girl Named Zippy, among other things. So, we (and when I say we, you know I mean Jenny and I... we have become quite the book event attending buddies!) went again. The keynote address was really quite different from what we've become used to. Instead of telling her story, or lecturing about one thing or another, she posed the question of how the publishing industry is changing dramatically due to ereaders, and is this a good thing, and how? And how does an author change with the industry? She genuinely seemed distraught by this question and quite emphatically dissed the ereaders. Then, she opened it up for discussion. Several audience members defended the ereader, and several agreed with the importance of physical books. All in all, it really made me think and I totally enjoyed it. is reading an isolating activity? After that we got our books signed (I bought copy of She Got Up Off the Couch) and then we went to two breakout sessions. One where some of the librarians shared their favorite books of last year, and one where a panel of local authors talked about how they became readers and how do you instill a love of reading in your own family. The local authors we enjoyed listening to were Kristen Chandler, Ann Cannon, Matt Kirby and Chris Crowe. Some of them were read to a lot as little kids. Some not. Some liked being read to, some not. Most of them agreed that you shouldn't force a certain kind of book onto a kid and let them read whatever they want! Anyway, it was interesting hear all their backgrounds and what made them love reading and writing. Oh wow! The Haven Kimmel keynote sounds really interesting. Funny that the e-reading makes her feel that we're going dystopian! I can see how being isolated from a community of readers would probably amplify these feelings. Because we all read about each other's passion for books and so many of us book bloggers have e-readers, it seems quite normal. And Haven Kimmel is a Tournament of Books judge this year. WOOOO! Yeah the whole discussion was sort of chilling, and made me look at things different than I have been. Tournament of Books? I don't think I've heard of that one! See? Everyone always does a better recap than me. ;) I'm glad you put a list of what books you were tempted by we never even discussed that. You walked away with a shorter list for sure. Well, they ALL sounded so good! But these are the ones that I will try, I hope, to truly find sooner rather than later. I saw on Jenny's blog that I missed the Family Literacy thing, so I'm really happy you both did recaps. :) It sounds like it was really interesting, especially the idea of reading being an isolating activity. I wonder if that's why blogging about reading has become so popular. Thanks for the list of upcoming events, too. I'm so out of the loop right now. Hopefully you'll see you at some of those upcoming things, yes? I've been pretty luckily with no conflicts for these past few events. We'll see how long that holds out! Fun! I really wish we had better author events around here. We have been really lucky these past few years. The library has been getting it on! Awesome events! AND great blog look!! You are fancy... As always, I enjoy your insight and take on author events and books. I'm glad that your weekend included reading. So often we don't get to do what we really want to do...READ! Thanks for sharing. I am going to really ponder Haven Kimmel's comments. That's some dinner conversation starter for around here!! You'll have to tell us how that dinner conversation goes! It was a pleasure to meet you at the library. I wish I could have stayed for the entire event, but I'm sure glad I went. And I'm so glad you said something to me! I lucked out with a non-busy Saturday. Now, if this event would have been this coming Saturday? No way I could have gone! It was such a fun day. I loved meeting Haven and being able to ask her questions was a treat. I could hear her voice from the books. She was different than I expected but also exactly the same. I also agreed with her position on ebooks. I bought a kindle in August and haven't used it nearly as much as I thought.